Content marketers are increasingly turning to native advertising, which is a form of paid content that is inherently non-disruptive. Outbrain spoke with seven experts to learn what they see as the key trends and best practices in native advertising for 2018. Keep reading to learn what they consider top priorities. “First, I’m making a push in 2018 to shift almost entirely away from pre-roll and in-stream native ads on YouTube. I’ve seen some interesting early returns on shifting budget over to YouTube’s discovery features—ads shown in the search results, alongside other videos and on the mobile home page. So far, we get more value out of each advertising dollar spent by only showing videos to users who choose to click on them. Regarding content discovery networks like Outbrain, I’ve noticed even more of a shift toward quality and relevance this year. For instance, if you’re reading movie reviews on RogerEbert.com, you’re going to see really good “suggested content” about movies and actors from ZergNet. Publishers aren’t messing around with spam content—at least not on high-quality websites. If you’re simply trying to get traffic to your website from native ads for the sole purpose of turning around and showing ads to those visitors, Google’s going to penalize you for having a low-quality website. Regarding competitor research, I’d recommend a free trial on Advault.io. It’s an expensive tool, but the trial is only $1—you can definitely figure out if it’s worth the money for you. Ad Espresso’s Ads Examples tool has also been useful for me when trying to come up with the best format for Facebook native ads. The truth is, spying on your competitors isn’t as valuable as measuring the reactions of your customers. 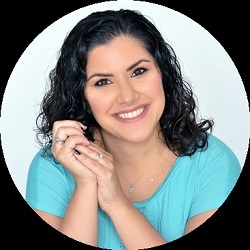 “After three years of working in native marketing, I can assure you that we get the best results when working to create interest, not interruption. For this reason, our goal for 2018 is to work only with channels that are aligned to our services. In the past, we gained a number of new clients from sites with content different from what we sell, but they were short-term customers. The more profitable clients with the longer useful lives are those that we do not “interrupt” with our native marketing. Instead, we create “interest” because what they are already reading or listening to is 100% related to our services. “For the past few years, our native ad strategy has focused on high-quality content—and this won’t change through 2018. We’ve found that producing brilliant content that educates and entertains can be much more effective in building long-term customer relationships than a simple hard sell. “We are not changing our core marketing philosophy, but we are always testing and looking to really ramp up our test budget this year. “We are infatuated with growth—and that trend should always be there in a tech company. Yet we are scaling up our ad campaigns and constantly testing out new ad placements. Digital advertising is always like A/B testing—you see what works and what fails, and move on. In terms of competitor research, it’s very easy for us, as our toolkit SEMrush offers an entire PPC galaxy that includes competitors’ advertising research. So in this matter, we are all equipped to find the competitors’ best practices and evaluate their efficiency. When it comes to content, we try to invest in authentic and industry-specific content, especially original research that would attract our potential audience. Only in exchange for quality content, would users be likely to fill in various lead-generation forms and give out their personal details. So we try to motivate by offering great content and only ask for something in return later. We use several attribution models, including last click and Markov chain. 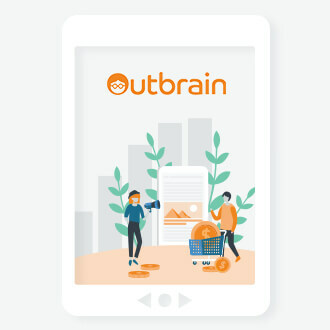 We are big fans of Outbrain when it comes to native advertising, although we are always testing out new platforms. “Our objective is to stay relevant in our industry. Being in the apparel industry, staying fresh and cutting edge is key to being on trend. Customer satisfaction is our objective for 2018. As we move forward, staying transparent and having an open dialogue with our audience is key to growing our business. The content that brings us the most attention is by social media influencers. Their support and approval bring credibility to our products and brand. But measuring real data based off the content our social media influencers provide is very difficult. We try to use third-party apps to check our social media mentions, but trying to measure it with hard data is not very reliable. “2018 will be a big year for native advertising as it continues to hitch its wagon to social media. Currently, so much of the focus of native ads is on social media and mobile, as social networks are accessed predominantly on mobile apps. We will see this focus continue into 2018, as video mobile becomes an even bigger player for native and social media advertising. The mobile video trend has been growing for years and shows no sign of slowing in the near future. 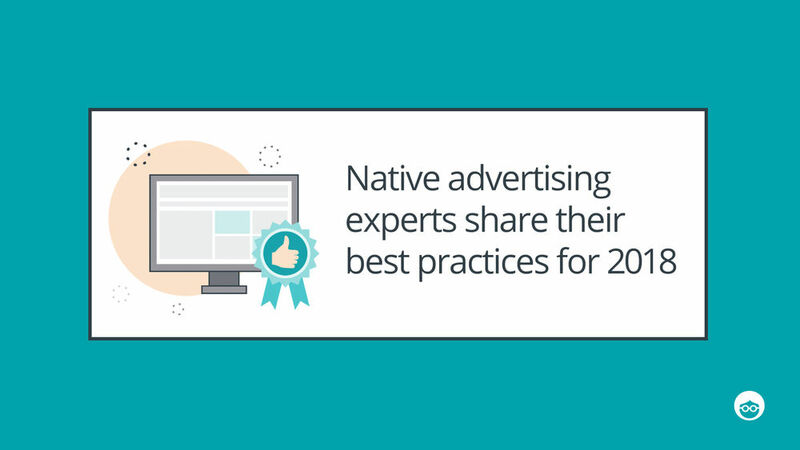 Keep that in mind when developing your overall native advertising strategy this year. The most valuable best practice for native advertising is to avoid clickbait captions. Consumers are getting smarter, and they are becoming more aware of when they are being advertised to or misled. The experts agree that it is critical to focus on quality content that generates interest, clicks, and engagement. Social, mobile, video, podcasts and influencers will continue to play important roles in the category. Remember that consumers are getting smarter (and quick to recognize spam and clickbait), so it is vital to keep the user experience as native as possible. And as always, keep testing and experimenting because native advertising appears deceptively simple but can take years to master. Thank you so much Tabitha!